Cosplay costumes and anime songs are the rule at Animageddon event. Animageddon is coming to Okinawa City on November 23rd, and organizers are offering s pre-event sneak peak of what it’s all about on Saturday. The Animageddon Pre-Event is 4 p.m. ~ 8 p.m. Saturday at Music Plaza of Koza Music Town Otoichiba. The program is on the first floor, and admission is free. Animageddon is a music-based event featuring various kinds of Anime songs, like TV anime songs, special effect TV hero songs, vocaloids… etc. 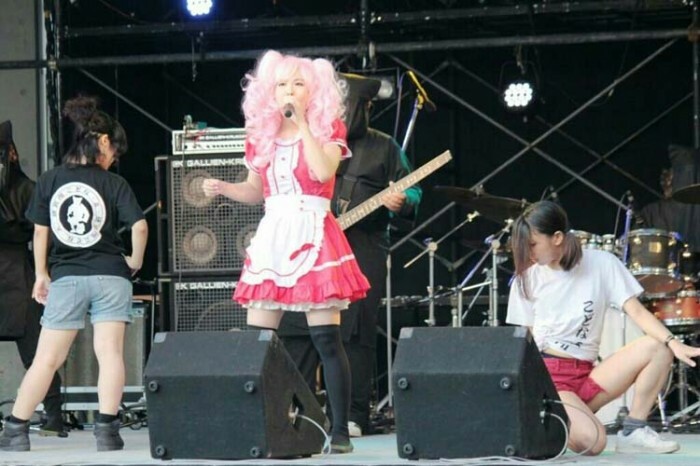 With Animageddon, there are the Ani-son Band, Odottemita, the final round of a Karaoke contest and present time. All events are free.